Our team has the training, experience, and equipment to get your job done right. We are ready if you need urgent cleaning due a pet, child, or party. But we also love helping our loyal clients protect and extend the life of their investment in their home. Does your business need professional cleaning services? Check out our Business Services Page. From fine silkscreen and other delicate wall fabrics, to rich wools and various blend carpeting, to Haitian cotton, suede and other fine upholstered furnishings, MicroSeal has rapidly become accepted as the finest commercial and residential textile protection available today. For our residential customers, we clean with a powerful truck-mount system, commonly known to our customers as “steam clean”. This type of wet-cleaning is considered the most effective deep-clean method available, removing most soil, and working to sanitize and brighten your carpets. If you haven’t cleaned your carpets in a while, you will see a huge improvement! We guarantee our work, too. We feel very confident in saying that if it’s possible for anyone to remove a spot, Alameda can do it for you. Over time your carpet can develop “buckles”, seam issues, and/or holes. Our carpet repair professionals can provide the right service for you. Our regular pricing includes moving sofas, chairs, tables and smaller items. Beds, dressers, and heavier pieces are left in place under our regular pricing structure. For commercial jobs, chairs and desk mats that are removable are moved. Desks, file cabinets, and heavier furniture is left in place under our regular pricing structure. Any residential or commercial job can be customized to fit your needs, including a price quote to move heavier pieces. The carpet is thoroughly rinsed with a powerful truck-mounted system. The rinse agent is flushed through the pile and is immediately vacuumed with the powerful suction of our state-of-the-art truck-mounted machinery. Since the soil is pre-emulsified and loosened, the pressure used is lower than other companies, therefore not over-soaking the carpet. Every carpet that we clean is pH balanced so that there is no sticky residue left behind. This treatment is used as a rinse or applied after the rinse depending on soiling condition. A mild deodorizer is added to the rinse agent. Our deodorizers are not overbearing. The deodorizer will simply add a pleasant light scent. We attempt to remove food and beverage spots. General spotting is described as spots not requiring special cleaning solutions or special spotting procedures. We stock specialty spot removal products in our vans to attempt removal of urine, red dye spots, yellowing, filtration soiling, etc. A high-velocity air mover can be placed on the carpet immediately after cleaning to promote faster drying. By using the air mover we get the fastest drying time. The carpet can be groomed with a professional groomer so that the pile of the carpet is standing tall when we leave. The carpet will dry in this position. Grooming also helps distribute pockets of moisture and assist in the fast drying process as well. When carpeting is made, it has two protective properties. One is a “dye blocker” or “stain resist” property. This is simply a clear dye that fills in the empty dye sites so that it is difficult for a spill or spot to penetrate the fiber. The second is a “soil resistor” like 3M Scotchguard or Dupont Teflon. This is a product that is sprayed on the yarn and baked on at high temperature. This helps to resist against common dry soil and to act as a barrier between the spill and the dye blocker. After a period of about 2 to 3 years, depending on traffic, the soil resistor wears off and needs to be reapplied. Also, the cleaning can remove much of these products. After applying 3M Scotchguard to the carpet, the more dry soil will be removed with vacuuming, and most spots will be removed with just water. Minor Odor Treatment: Our Minor Odor Treatment is NOT GUARANTEED. We will saturate affected areas with an enzyme. It usually helps the odor somewhat and is a good alternative to a costly Major Odor Treatment. Major Odor Treatment: This procedure IS GUARANTEED. It requires more involved steps but is required at times when the problem is severe. All of the products we use are non-toxic and perfectly safe for pets and children. We offer specialized treatments for pet urine and odor removal. Since our system uses the best cleaning products, a very high PSI and hot water (all pre-mixed in our van; we never hook up to your water source!) the regular cleaning will oftentimes take care of pet problems that are less serious. We are happy to arrange for a visit to your home for a no-obligation consultation and a written bid for any job, large or small. Our manager/owners are very knowledgeable and easy to talk to. We NEVER try to sell you a service you don’t really need. We are not looking for a “quick buck”. Rather, we are interested in building a repeat-business customer base through excellent service and fair prices; we want to gain your trust. We have comprehensive textile (carpet, draperies, upholstery) treatments for asthma and allergy sufferers as well. Please call us for details. Likewise, we do emergency flood cleanups, including extraction of water, blower rentals to dry out the walls and carpet, and topical treatments such as mildicide to neutralize mold and mildew. We can also replace your carpet pads if that additional step is required. We send an IICRC-certified technician out on every job. IICRC is the governing body for textile cleaners in the U.S. (and several other countries;) we are serious about adhering to all of its professional recommendations and standards. We do not cut corners when it comes to our customers! Every rug is different and can require additional and alternative actions to achieve the best results. There are different types of dyes used, some stable and others not. This can require additional steps to protect the rug. Each client is different and may have different desires for their rugs. We have a state of the art rug cleaning and care plant in NE Portland, near Lloyd Center. We have the tools to care for your Oriental, Persian, and other rugs. Pickup and delivery available. When we receive* your rug, it will be thoroughly inspected. Any potentially difficult spots will be pre-treated with special solutions to increase the chances of removal. The fringe is also pre-treated for maximum soil removal and cleaned by hand. Most rugs are cleaned with an Oriental Rug Shampoo that is specially designed to get maximum cleaning while protecting sensitive natural fibers. Our cleaning specialist will give the rug a final inspection and release it for pick up or delivery. Paper and ty-vac wrapping available for short or long-term storage available for an additional charge. If delivered*, we will lay the rug for you. We conveniently Pick Up your rugs from your front door. We then first Pre-Inspect your rugs for any apparent special conditions or needs, then document with pictures and a Pre-Inspection report. We then meticulously Dust your rugs to remove deeply embedded dry particulates that will destroy your rugs over time. We then expertly Wash your rugs using the appropriate method based on dye and construction type. This also includes fringe detailing. We then thoroughly Rinse your rugs to remove any leftover sudsy residue or contaminates. We then hand Groom the rugs to properly prepare them for the drying process. We then carefully hang your rugs in our climate controlled area to dry. We then perform a “Hands and Knees” post inspection to see if additional attention is needed. This includes “Post Vacuuming”. We then Roll your rugs back up to keep them protected for delivery. We then promptly Deliver the rugs right back to your door. We then apply our licensed MicroSeal protectorate. There is no better rug protection product in the world! With our Gold Package we also provide our “Stay Clean” Warranty for an entire 6 months! If your rugs get dull, dirty, spotted or stained we will clean them free of charge! We also offer a 10% discount on all other services and pads for our Gold Package purchasers. With our Platinum Package, we also provide our “Stay Clean” Warranty for an entire year! If your rugs get dull, dirty, spotted or stained we will clean them free of charge! We then promptly Deliver the rugs right back to your door with a bottle of spotter on the house! We also offer a 10% discount on all other services and pads for our Platinum Package purchasers. Our technicians are trained and experienced in cleaning all fabrics and styles of upholstered goods. We safely and effectively clean everything…from sofas to throw pillows to dining room chairs. Most modern textiles can be cleaned with our very effective low-moisture “Ultimate” system. If the maker of your furniture recommends that the upholstered fabric be dry cleaned, we offer a very thorough dry-cleaning system to our customers as well. Dry soil will be removed before cleaning. Depending on your fabric, it will be pre-treated to “suspend” bonded soil. Any potentially difficult spots will be pre-treated with special solutions to increase the chances of removal. High-velocity air movers will be placed on the upholstery to speed dry the fabric. 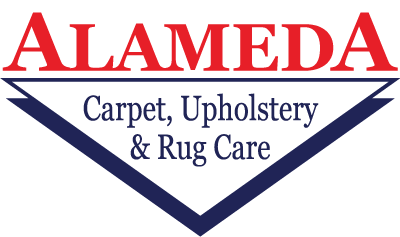 Besides Carpet, Upholstery & Rugs we offer more services for your home or business. We provide services for hard floor services such as wood, marble, stone, and other common surfaces. Our methods provide the right solution to make your tile and grout look great and stay that way. Our unique approach to drapery cleaning can clean your drapes where they hang while providing great results. With nearly 40 years experience, we are able to quickly and confidently provide a free quote for your job. Our goal is to provide the best solution for your needs.